The 2019 Black Sheep festival will officially kick off with the opening of the exhibition titled Izvan fokusa (Out of Focus) by the academically trained painter Sanja Ipšić Randić. The opening ceremony will start at 7PM. The little sheep won’t be out of focus at this exhibition; they’ll be enjoying paintings of their favorite landscapes and nature. Towards the shiny warm light and the dark depths, where shadows converge, there expands the power of vegetation, eternal in its growth from the ground, miraculous in its transformations, transitions and renewals. 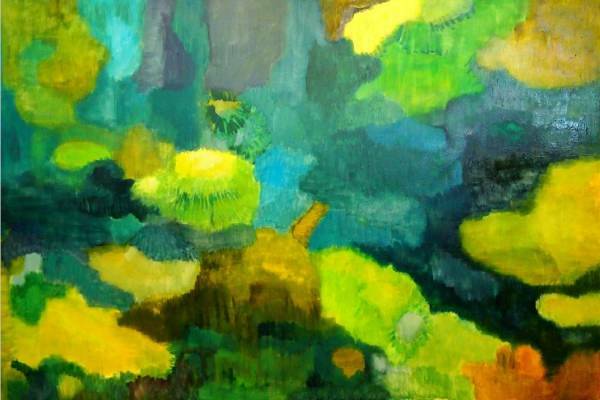 Visit the exhibition and surrender to the experience and impression of the forests, shadows and reflections. 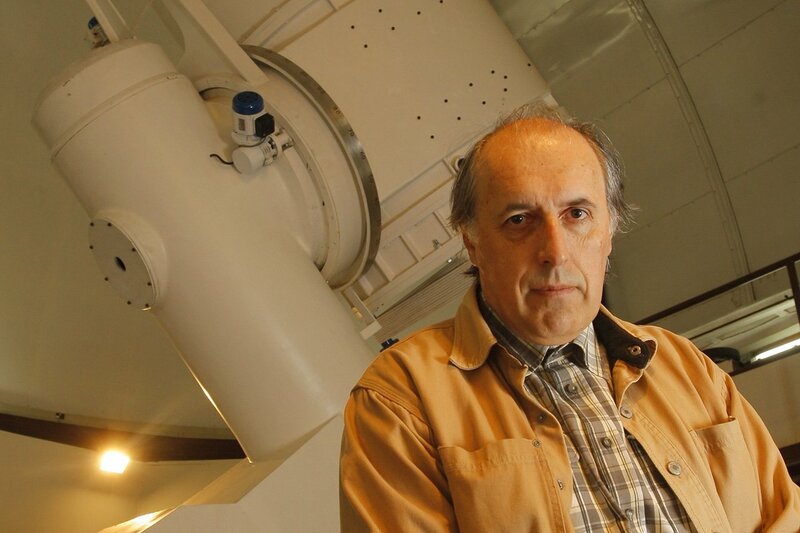 The exceedingly popular scientist and visionary Korado Korlević is back in Baška for the Black Sheep, to share with us yet another one of his futuristic visions. Is his optimism justified? Come to the lecture and ask whatever you want to know. Black Sheep and Studio Smijeha are in love! 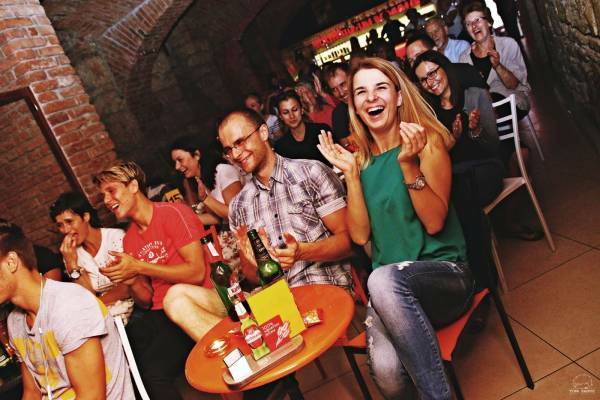 The first Croatian and regional stand-up comedy club is coming to Baška with awarded Croatian comedian Marina Orsag, Tihomir Paravina and Igor Drljo. Jokes during show under the name “Best of stand-up by Studio Smijeha“ will have you in stitches so we expect to see you in droves on Saturday, May 18, starting at 7PM! 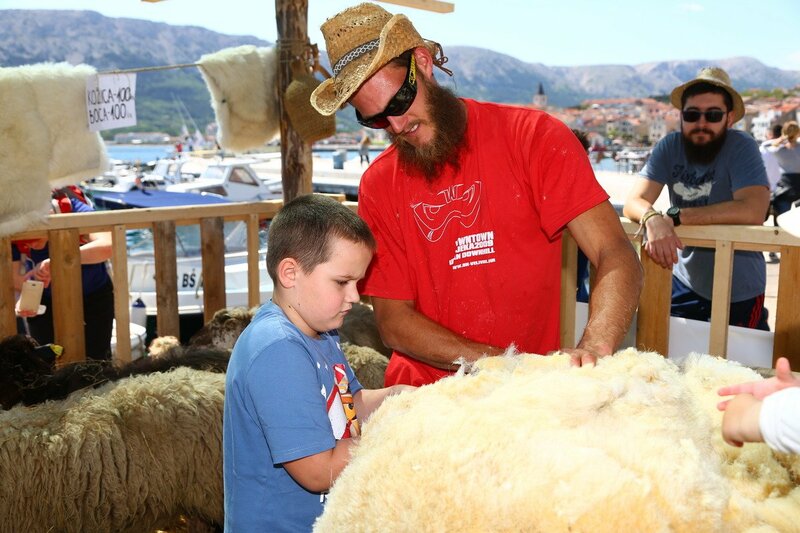 All true black sheep recycle, and the Josip Gršković family-run farm will help us make good use of the leftover Pramenka sheep wool and turn it into small works of art. We encourage all of our environmentally conscious little sheep to join us at the workshop, where everyone will be given a homemade souvenir – a small sheep. The participants of the workshop will learn about the beauty of natural materials – in this case, wool – and the forgotten aspect of sheep farming. The workshop will also raise awareness of the fact that wool is not waste. 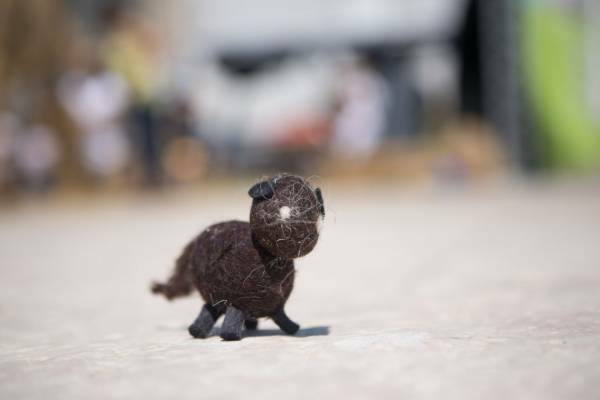 The black sheep will be able to roam the streets of Baška, getting to know more about land art, a rather creative way of expressing oneself using completely natural materials out in the open. 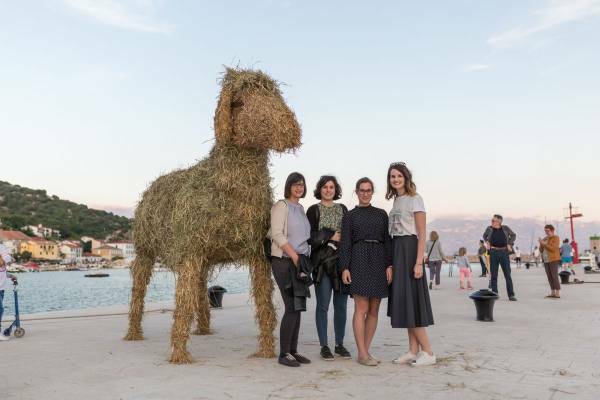 The well-known Osijek resident with a master’s degree in sculpture, Nikola Faller, and members of his Slama Association will be using straw as the authentic sculpting material to build straw sculptures. And so, dear black sheep, keep your cigarette lighters away from the artwork! 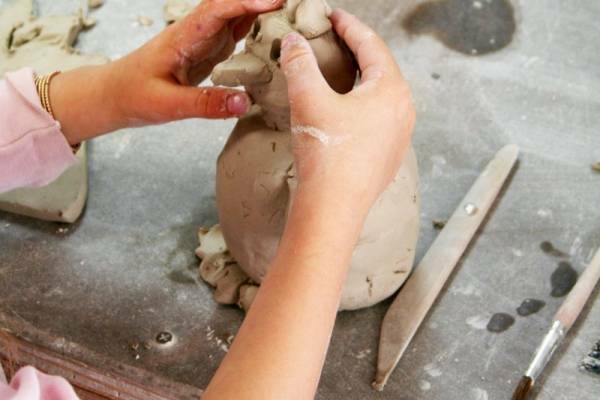 Darling sheep, if your lambs are interested in the creative portion of the program, they can join us for the pottery workshop. They will learn how to make different imaginative and creative items related to our Baa, Baa Black Sheep Festival. They will each leave the workshop with a little sheep, a mrgar (sheepfold) or a Glagolitic letter that they have made themselves. The workshop is for children aged between 5 and 15. 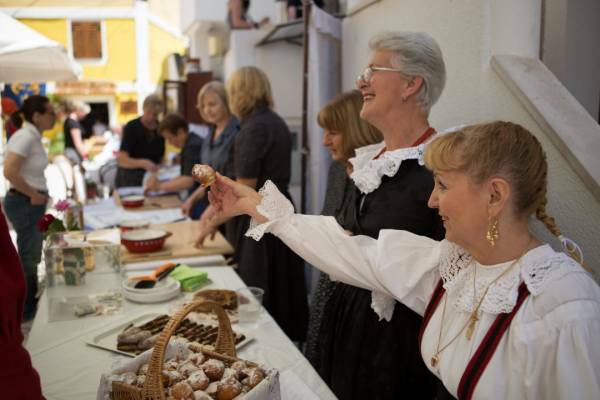 Baška-based Sinjali Association is working diligently on preserving the local cultural and artistic heritage of Baška. That’s why, my dear black sheep, you should not skip our Sinjali at this year’s festival. There will be a lot to see and learn there. This year, the sheep farmers will approach sheep shearing with more determination and passion than the state tax collection agency doing your tax reviews. Eventually, though, our sheep will breathe a sigh of relief as they will no longer be so hot. 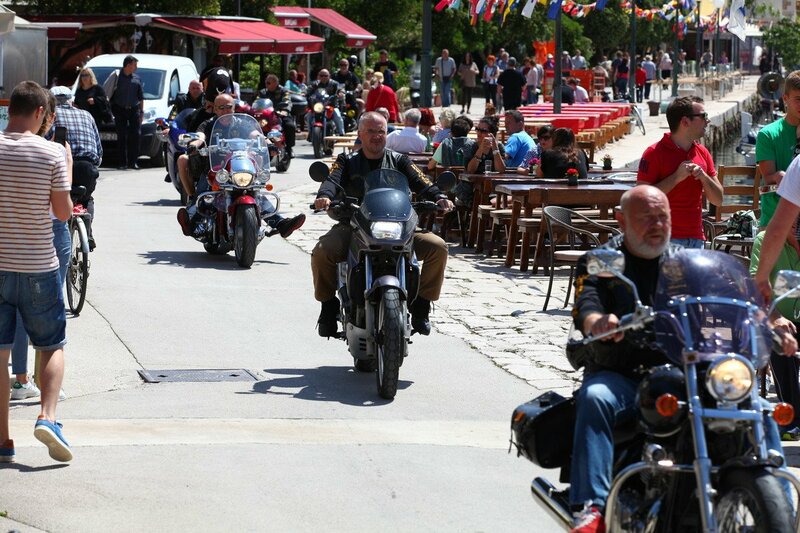 “I’m gonna hit the highway like a battering ram/On a silver black phantom bike…” Unfortunately, you probably won’t be able to hear this Meat Loaf classic at the Black Sheep in Baška on Saturday, but you will see the “battering rams” slowly conquering every inch of Baška’s Palada. The Black Sheep goes broom-broom!